Industry insiders have gathered in Southern California at the Apartment Internet Marketing Conference to dig into the trendiest best practices for multifamily marketing, including a look at smart technology and garages in communities. 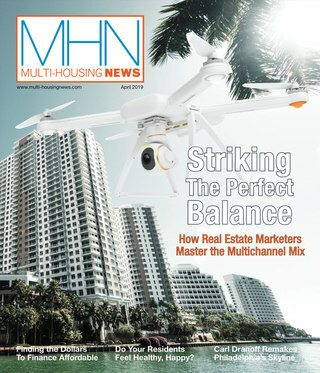 Huntington Beach, Calif.—With the multifamily industry still enjoying rising rents and high occupancy rates in most markets, it’s no wonder this year’s Apartment Internet Marketing Conference has an air of successful complacency, as most apartment marketers have been enjoying smooth sailing lately. That doesn’t mean there isn’t room for improvement, and several hundred industry insiders have gathered in Southern California this week to dig into the trendiest best practices for multifamily marketing. Despite growing chatter about smart home technology, the sector hasn’t optimized for multifamily yet, but stay tuned, because development for the market is hot. “You don’t want to take something that’s created for single family homes and apply it to a 800 unit apartment complex … it won’t scale,” said Felicite Moorman, CEO of StratIS, a tech company focused on access, energy, and automation. 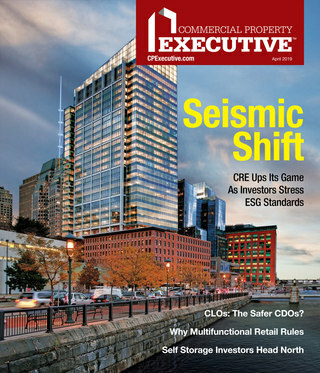 Multifamily owners and managers were urged to focus on useful innovations first, before offering fancy bells and whistles that might impress prospects and residents. ROI is still a challenge, a smart home technology panel concluded. Clay Hicks, president of apartment management at Dinerstein Companies, said his firm sees an average of $45 more in monthly rent for “smart” apartments in Texas, and $60 more in California. Meanwhile, average spending for tech-forward amenities has dropped from $2500 per unit to $1500. The eco-conscious transit marketplace and the apartment industry have yet to intersect in a way that’s financially rewarding for either, but one thing is clear: apartment garages are getting smaller and will keep shrinking. Millennials are eschewing the personal vehicle as a transit method—in fact, 25 percent of them do not have driver’s licenses. Their dependence on apartments for housing means multifamily will see an impact. Electric vehicle charging stations, which have popped up at many trendy new communities as green-oriented amenities, haven’t been overwhelmed by resident use. Bozzuto Director of Sustainability Peter Zadoretzky said many sit empty at the company’s East Coast communities. However, a simpler fix, big screen TV’s with transit schedules placed in Bozzuto lobbies, has been wildly popular. The AIM Conference continues today. Follow #AIMConf for social media updates.